Two weeks ago, an industrious software engineer created open-source drivers, which allowed the Kinect camera to be used with a PC. 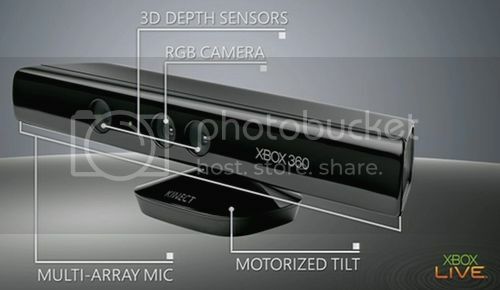 At the time, Microsoft responded with some legal saber-rattling, saying that it would "work closely with law enforcement and product safety groups to keep Kinect tamper-resistant." Soon thereafter, Microsoft denied that what the engineer did constituted hacking the Kinect at all. That sentiment was echoed on the Science Friday edition of Talk of the Nation by Alex Kipman, director of incubation for Xbox at Microsoft. "The first thing to talk about is Kinect was not actually hacked," explained Kipman. "Hacking would mean that someone got to our algorithms that sit on the side of the Xbox and was able to actually use them, which hasn't happened. Or it means that you put a device between the sensor and the Xbox for means of cheating, which also has not happened. That's what we call hacking, and that's why we have put a ton of work and effort to make sure it doesn't actually occur." He continued, "What has happened is someone wrote an open-source driver for PCs that essentially opens the USB connection, which we didn't protect by design, and reads the inputs from the sensor. The sensor again, as I talked earlier, has eyes and ears and that's a whole bunch of, you know, noise that someone needs to take and turn into signal." When asked if anyone would "get in trouble" for writing such code or finding other uses for the Kinect camera, Kipman had a direct answer: "Nope. Absolutely not." Indeed, Microsoft Game Studios' studio manager Shannon Loftis was effusive in her praise of those who had taken the Kinect into their own hands for non-gaming applications. One such application saw an MIT grad student hooking up a Kinect to a Roomba-like iRobot that could follow hand commands and scan rooms. "I'm very excited to see that people are so inspired that it was less than a week after the Kinect came out before they had started creating and thinking about what they could do," she said.